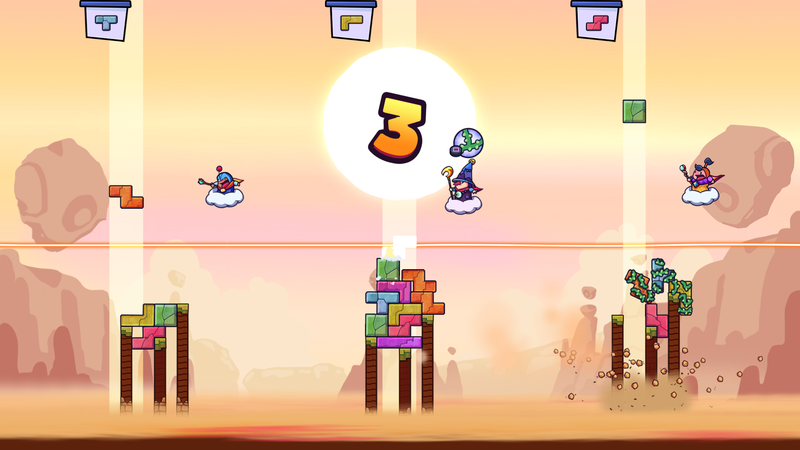 Tricky Towers is a frantic physics action puzzler. You have to build a tower with tetromino bricks and make sure it doesn't topple. To spice things up, use magic spells to either support your structure or mess up the towers of your opponents. 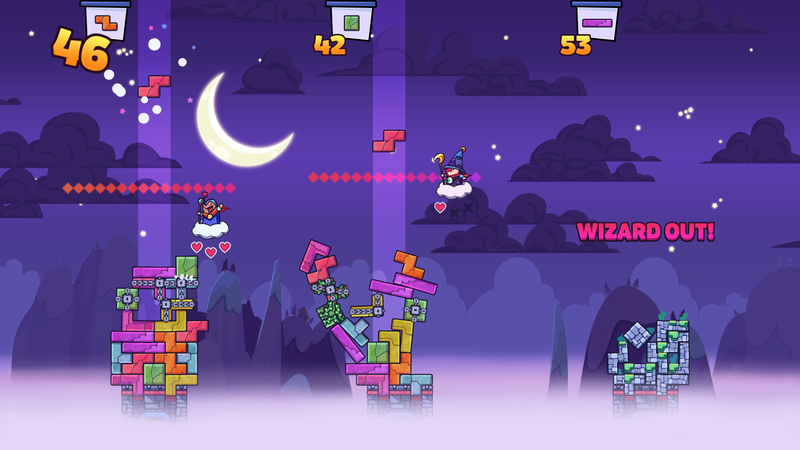 With spells flying everywhere and bricks dropping like flies – Tricky Towers gives a chaotically good time. The game offers both local and online multiplayer with up to 4 players in various competitive modes. 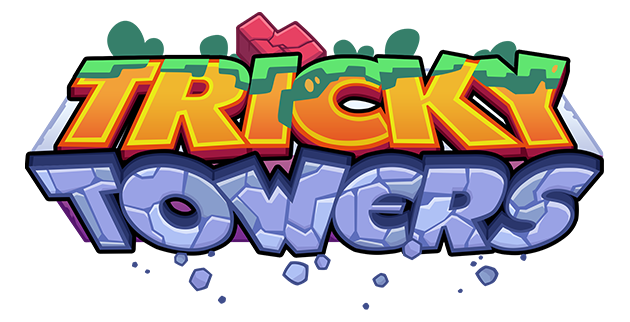 There is also a single player campaign to improve your skills by taking on challenges and completing various puzzles - this is a great way to prepare for challenging other wizards from around the world in an online match of Tricky Towers! In race mode you must build a tower to the finish line as quickly as possible. But don’t stop and celebrate too soon – your tower has to remain upright for three seconds before you’ll be crowned as the winner! Survival mode is all about building a stable tower. Each time you drop a brick you will lose a life. Lose all your lives and you’re out! This mode is a tricky balance of building to protect your own tower while trying to cast spells that will tumble the towers of your opponents. In puzzle mode you try to build as wide as possible without dropping any bricks. This is the ultimate physics challenge and will draw out the true architects. If you have any questions, we'll gladly answer them in the comments section below! Friend Invite system now live on Nintendo Switch! The warm reception we’ve got from Nintendo Switch players has been wonderful, and we’ve been listening to feedback - including requests for a friend invite system. It’s been a much requested feature since we launched, and we’re delightedto be adding it to the game! How will it work? In short, whenever you host an online game, there will be a code shown in your lobby. Simply send this code to your friends, and they can enter it to join your game. Perfect for quick matches with your buddies or online tournaments! Speaking of tournaments, don't forget that you can actually print their own 3D trophy cup with our free printable tournament pack available at www.TrickyTowers.com.. The pack includes everything you need to host your own wizard tournament! Best of luck in your multiplayer matches! It’s time to get spooky - Free Halloween bricks! Today’s update brings language support for Traditional Chinese and Romanian to Tricky Towers. After we all got this game in a Humble Bundle deal, we figured we might as well play it! We bought the bundle for games such as Ultimate Chicken Horse and Move Or Die, but this one came along with it! 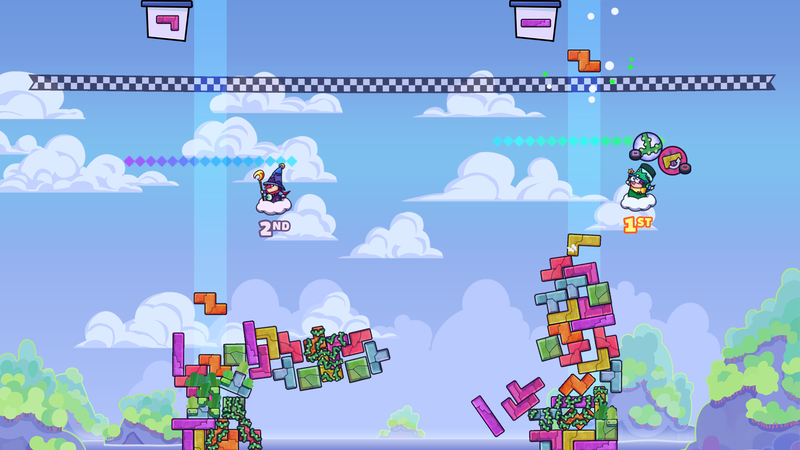 So please watch and enjoy as I such so much in this physics-based Tetris puzzle game! We had a whole bunch of fun playing Tricky Towers. After a while though it did get quite a bit samey. I was expecting/hoping that we'd unlock things the more we played. Like new characters, levels, game modes, cosmetic stuff a la Move Or Die and Ultimate Chicken Horse. But sadly that never happened so the game's good but only for one session, it's not something you can come back to unless I am very much mistaken about unlocking things. Still an amazing game though!